It's like a dream come true. You have inherited a vast mansion in New England. Trembling with excitement, you walk into the house - your Legacy. The door slams behind you. Your dream has become a nightmare! 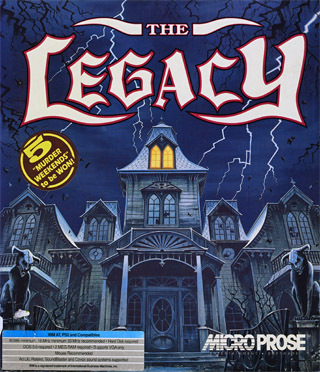 The Legacy is an Adventure Role-Playing Game set firmly in modern times and includes a host of malignant zombies, ghouls and terrifying entities. Explore hundreds of rooms using the unique windowing interface, solve mindbending puzzles and marvel at the breathtaking artwork, animation and sound. What evil lurks behind the first closed door? Come inside and you'll see what makes a dream become a nightmare! Your dream home has turned into a living nightmare!! For the past 400 years, your evil ancestors have been planning the housewarming party just for you. And it's one party you may never leave. Exploring hundreds of reality twisting rooms in your eerie estate. You'll encounter unearthly puzzles, sinister spells, and forbidden tomes. 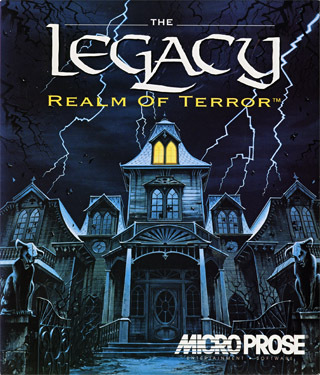 And you'll battle hideous hosts like grotesque gargoyles and loathsome death leeches as you struggle to vanquish the evil forces contaminating your happy home. Spine-tingling graphics will turn you chalk-white with horror! Hair-raising combat with sickening creatures! Stupefying stumpers in surreal rooms! 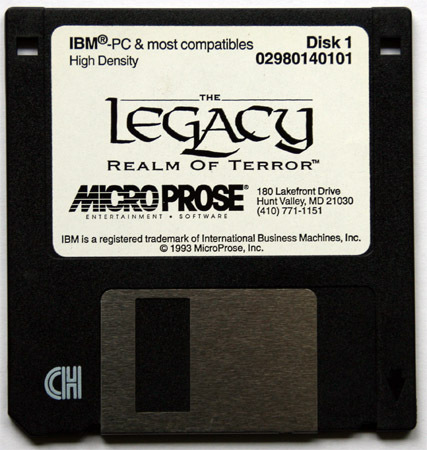 Two different boxes for the European and the U.S. market of the same size. The colour scheme is slightly different and the two boxes use different fonts and package blurbs. 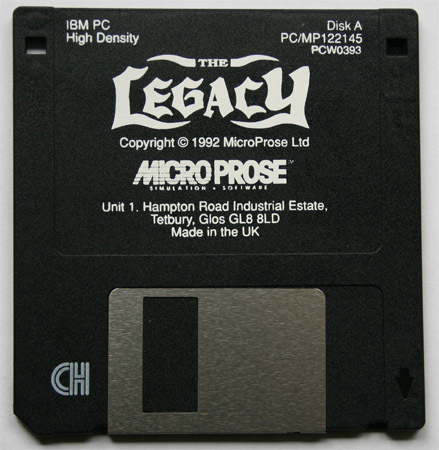 An Amiga version of The Legacy was in the making, but never released. Radio Shack released a Collector's Edition of the game with identical game box contents but wrapped into an exceptional box that made some creepy noise when being opened.